One plug-in. Three unique tools. Based on a unique ability for automatic learning, the smart:engineTM recognizes disturbing resonances or notches and automatically calculates individual filters to optimize single tracks or the mix as a whole. 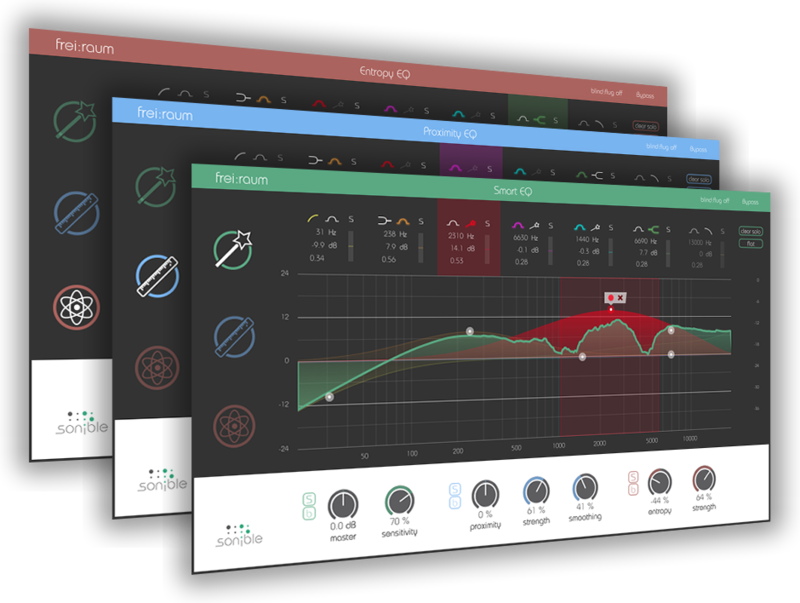 In classical mixing as well as in broadcasting, the smart:engineTM delivers fast high-quality results. 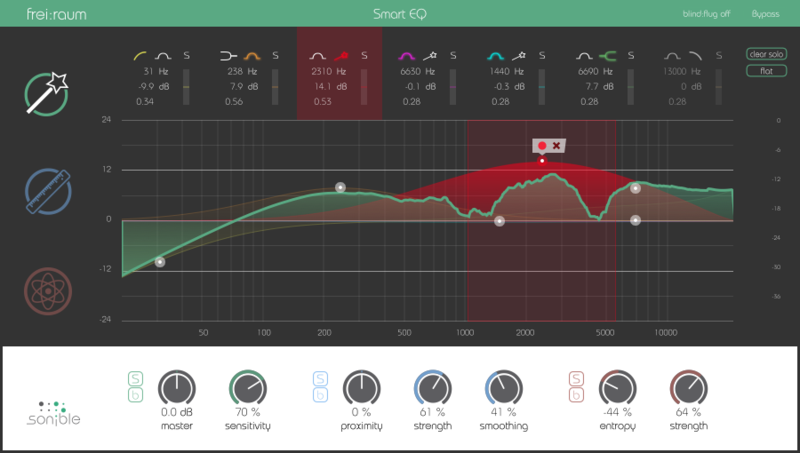 The second level comprises the proximity:EQ tool. This level of editing solves problems created by bad microphone settings or unfavorable recording spaces. In these instances, proximity:EQ can reconstitute the spaciousness you originally intended. Whether you need to decrease or increase the reverb – the proximity:EQ’s separation of reverb and direct sound gives you the ability to freely adjust the mixing ratio. 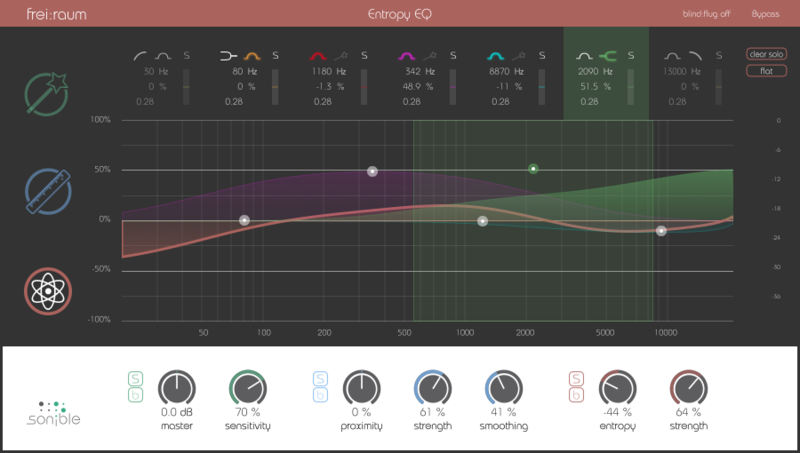 The entropy:EQ separates harmonic and inharmonic components of your recording at any frequency range. This greatly simplifies the postprocessing of impact noise created by drums, guitars and other plucked instruments. Speech intelligibility, too, can be effortlessly improved by deliberately increasing noisy consonant sounds.